Stainless-steel is beautiful when you first get it and it’s my favorite in my kitchen. I have a 2-quart stainless-steel pot that is 30-years old! It’s not scratched and continues cooking vegetables for my family. I will say, I’m obsessive about everything being clean and must be spotless before using again. We don’t want our food to stick in the first place, so the tips below will prevent that from happening. Then we won’t need to find a way to clean burned on food. Read below for preventing food from sticking and if it does, how to clean it off easily. The metal does not react with acidic foods such as tomatoes, rhubarb, and wine. 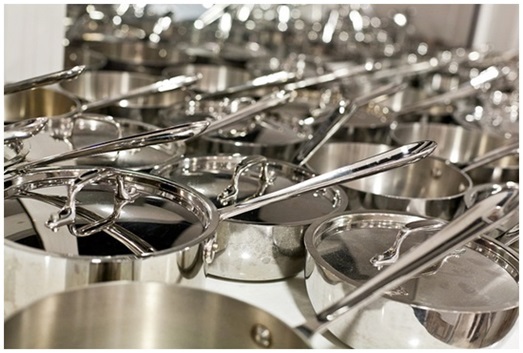 Stainless-steel makes delicious sauces by the Milliard reaction after cooking foods by dissolving the caramelization. Milliard is a chemical reaction between amino acids (22 are proteins) reducing sugars that gives browned food its distinctive flavor. Stainless-steel heats and cooks unevenly. Many foods stick unless correct procedures are used, discussed below. Protein foods such as meat, poultry, and fish tend to stick because the proteins form with metal atoms like iron in the pan. Be sure the pot is clean with no old food particles that will cause more sticking. The food should be dry and not cold. Cold meat will stick without difficulty to stainless-steel when it’s cooking. The meat will have water in it that makes it sizzle, then the lower temperature of the oil causes sticking. You can add a bit of oil to the surface area of the meat going into the pan to prevent sticking. Be sure the oil in the pan is very hot! 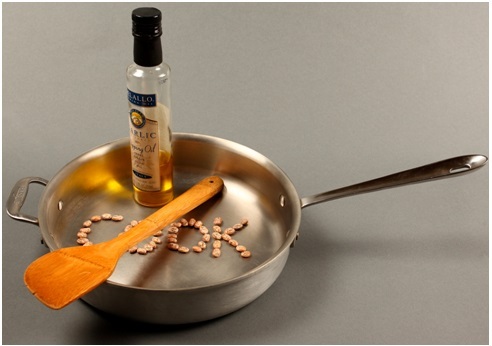 Add cold oil to a hot pan or to a cold pan add cold oil. Both ways work well, but adding cold oil to a hot pan is preferred. The oil will ripple, like thin waves in a short time. Add meat or food before the oil starts to smoke. This can damage your pan. When you flick in a few drops of water to the oil, it will turn to steam right away. This is when to add food. Don’t put too much food in at one time or it will not brown. Cook in small batches. Reheat the pan each time and add more oil. 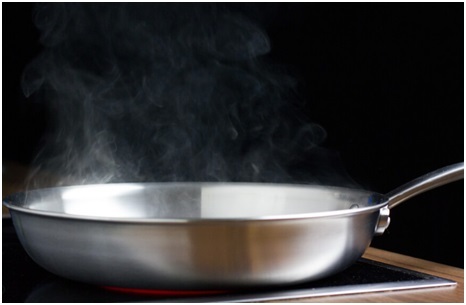 If food does stick with your stainless-steel pan, lower the heat and the food will release on its own not sticking. Food should sizzle, but not splatter. Move vegetables, such as fried potatoes, to keep from burning on the bottom. Heat the pan first over medium to high heat. As soon as the sizzle sound stops, the moisture (water) in the pan is gone. The water is from food, not added water. When the moisture is gone, foods can burn. As my Dad told me when I was learning to cook, “When you don’t hear the sizzle sound anymore, the food is done. Remove it at once.” He was right. Cooking this way will give you moist tender food inside and crispy outside. The number one best way to clean scorched, crusty, overcooked foods or even burned food is to first, let the pan cool. If you add cold water to the pan when it’s hot, it will warp. Add cold water up to the point where the pan is clean of any food stuck on. Bring the water to a boil, and let the food “cook” on medium heat for a half hour. 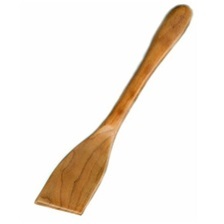 Use a wood spatula to start scraping the food loose—and it will come off. Let the water cool naturally on the stove, dump it out, and wash in warm detergent water, rinse, and towel dry. 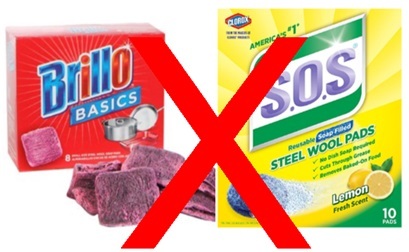 Do not use steel wool pads such as Brillo® or S.O.S.® on stainless-steel because it scratches, but will do the job. Do not use copper-based scrubbers either. Be sure the pan or skillet is dry and put in enough clear distilled vinegar to completely cover the bottom. This is not heated and should sit about a half hour. Rinse that out and wash in detergent and hot water, rinse, and towel dry. 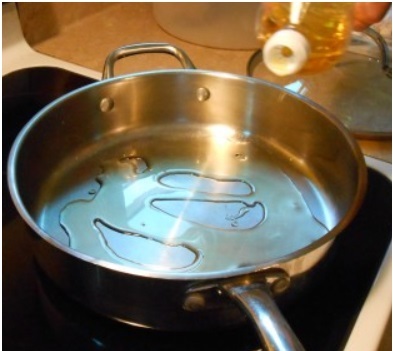 Put enough water in the cookware with a ratio of 1:3 (1-part vinegar to 3-parts of water). Let the water come to a boil then let it cool to room temperature. Discard the water mixture and wash in sudsy detergent, rinse, and towel dry. For difficult to remove burned on food, make a paste of baking soda and water. Put it on the burned-on spots and let it sit 20- to 30-minutes. Scrub with sponge if necessary. Rinse the mixture out and wash with detergent, rinse, and towel dry. 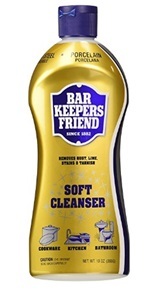 Bar Keepers Friend®—comes in powder, liquid/soft cleanser, and foam. It contains oxalic acid found naturally in rhubarb and spinach. You rub it in the direction of the brush lines on the pot. The soft cleanser is less gritty than the powder. Add a little water to Bar Keepers Friend® and use a wet sponge to smear it around. Wash in dish detergent, rinse, and towel dry. Scrubbers and Scouring Pads—tend to scratch even if made of plastic loops. I hate them! Never ever use metal loop scratchers for any pot except cast iron. 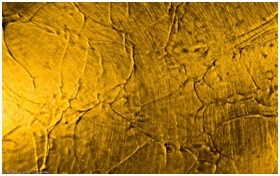 Water Spots—are caused by city tap water minerals and lime scale. Always dry your pans after washing and those spots will not appear. If they don’t come off, rinse in vinegar water. 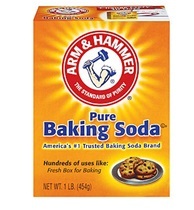 Do not use baking soda and vinegar together! They neutralize each other having no cleaning power mixed together. Mixed together, they produce carbon dioxide and the chemicals together are toxic! Do not believe what the Internet tells you about putting these together! Do not add ammonia or bleach to any of these products or use them alone on stainless-steel. Never ever mix bleach with ammonia for any cleaning task! Do not use on your stainless-steel cookware because it will discolor it and cause pitting. Wash your cookware after each use and towel dry for luster and long life. Dishwashers will discolor stainless-steel over time and they will not last as long. Use a cleaning product designed specifically for stainless-steel. If you really want your stainless-steel to shine, use a stainless-steel polish. Stainless-steel knives can be cleaned with vinegar or baking soda the same as your cookware. Wear rubber gloves with any of the products listed here to avoid skin damage. 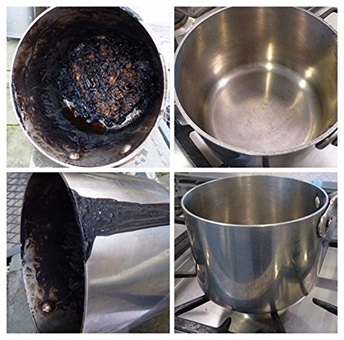 Remove grease and food burns on the outside of your cookware the same was as described above.